Last week I was craving a sweet treat and was browsing through my beloved “Betty Crocker’s Cooky Book” reprinted from 1963. 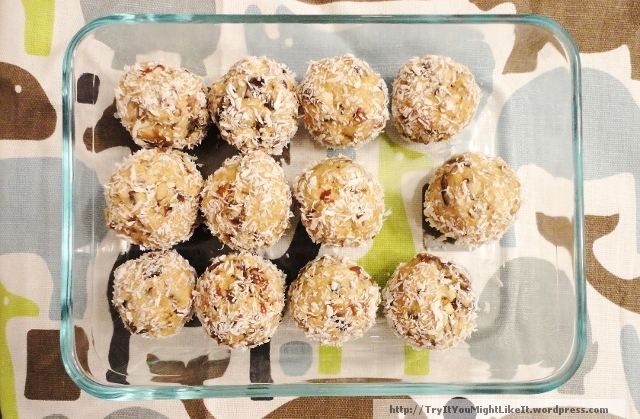 This recipe is an adaptation of one called Peanut Butter Date Balls but I changed it so much that I thought that I should change the name of the recipe. After brainstorming at the dinner table with the family we decided that they should be called “Hairy Nut Balls” because they have nuts and that they look hairy with all the coconut on them. Much hilarity ensued as I pulled out the cookbook and started reading through the recipe. The kids weren’t quite sure why husband and I were laughing so much over the instructions in the recipe that read, “With metal spatula or knife, spread top of balls with melted chocolate and swirl, giving bonbon effect.” Sounds like something that would be on South Park wouldn’t it? In all seriousness, these Hairy Nut Balls were very tasty. The original recipe said that it would make 110 marble-sized balls. 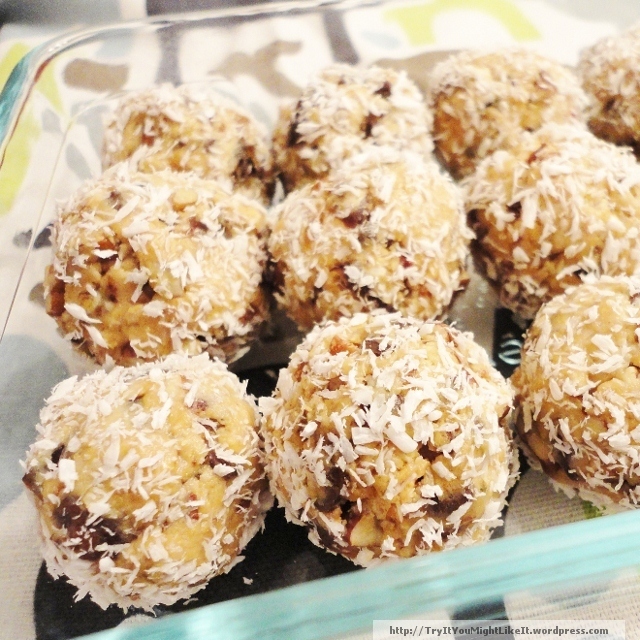 That’s pretty amazing to me that someone would spend the time rolling up 110 balls and then giving them a “bonbon effect.” So I halved the recipe and then made them into walnut-sized balls. Mix together peanut butter, confectioners’ sugar, nuts, dates and butter in a small bowl. 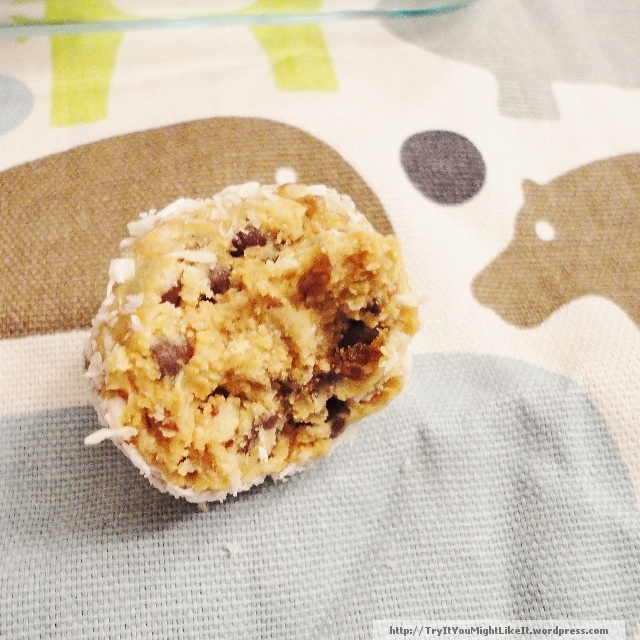 Add chocolate chips and coconut and mix together until the dough is evenly distributed. 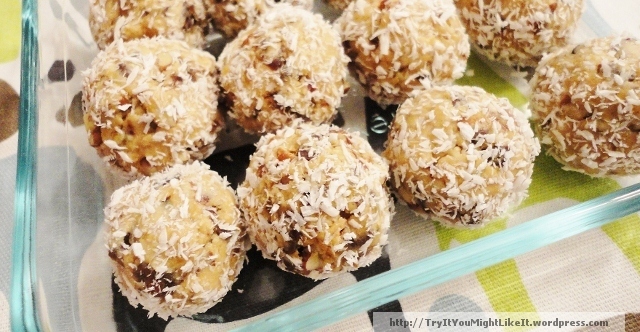 Roll into walnut-sized (rounded tablespoon) balls, then roll into the extra coconut. Refrigerate in a sealed container until set. Store in refrigerator about 1 week. Husband thought the name of the recipe would improve the stats on the blog if nothing else. He wasn’t interested in trying them out. My son has already requested that I make this again. I felt like they were a healthy alternative to those addictive peanut butter cups that are everywhere during the month of October. I rate this recipe 5 stars because it’s fast, easy, healthy and delicious. Haha..great name! Love these though!